We always like to start out by getting under the skin of your project and happy to work directly with agencies and clients alike. This helps us to use our experience and expertise to advise and guide you around the best approaches to making your designs a reality. Designers are great at coming up with exceptional creations. The challenge is turning those great digital ideas into reality. With our extensive experience, we’ll advise you on how those designs can be best executed to create maximum impact and prototype ideas with you as the process evolves. In the early stages of a project, and where appropriate, our team will conduct site surveys of where your large format graphics or signage will be installed. This information will help us guide supply options for materials to be used and considerations for installation to ensure your graphics and signage will have the appropriate longevity. We’re proud that our investment into the latest printing technologies, fabrication equipment and dye sublimation processes allow us to produce large format print and signage to meet the tightest of deadlines without compromising quality and accuracy. The installation of large format graphics and signage can make or break the success of a project. Our installation teams are on hand to travel the world, to ensure all the elements produced are installed to millimetre precision and reflect the high quality and impact required. We’re passionate about producing the highest quality large format graphics. From indoor point of purchase materials to large outdoor installations, we’ve got the experience and equipment to produce unique and engaging solutions. We invest in using the latest printers, technologies and dye sublimation processes, which enables us to print direct onto virtually any type of material up to 3.2 metres wide and 5cm thick. Using the latest LED cold-curing printers means that we can print onto a wide variety of materials and avoid warping and distortion that is usually experienced in UV curing. We’re proud to produce stunning, high definition results that will help your graphics ooze quality and precision. 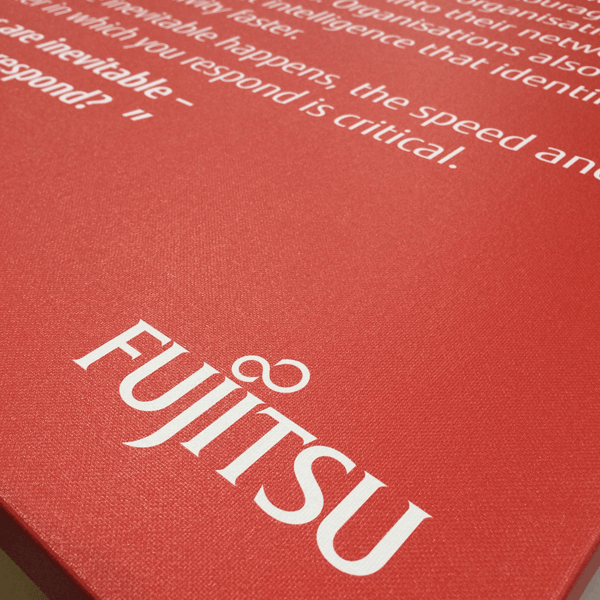 Our textile and soft signage printing services use our expert machinists and dye sublimation processes to print directly onto textiles up to 3.2 metres wide. Lightweight and easy to transport, our large format dye sublimation process can be used on a variety of textiles ranging from stunning silk, backlit and blackout materials for retail and exhibitions, through to flags, canvas and upholsteries. We have a range of finishing options including silicon edge that is ideal for use on graphics for tension frames that can be easily changed when needed. Just like our printers, we invest in the highest quality finishing technology because we know that that how your graphics are finished can make all the difference. Our Zünd G3 has a cutting table measuring a huge 3.2m x 2.2m that cuts and finishes all of our printed material. We use it for cutting foamex panelling, posters, display board, foam board, pop ups, banner display graphics, vinyl hoarding and “v” cutting of board for point-of-sale displays. Its speed and precision allows us to cut a 6-panel pop up display in less than 10 minutes with far greater accuracy than a traditional, manual process. We only use the very best cutting and finishing machines to ensure the highest quality in the final stages of production and when the job requires more than a cutting blade we turn to our CNC machining team who can fabricate whatever you want out of virtually any material with our CNC cutting machines and tools. Whether it’s refitting shops, adding signage, or installing vinyl graphics on walls, our experienced installation teams are on hand to ensure your large format productions are installed to the same precision as that used in our production process. Our teams carry out site surveys pre-production to assess any requirements and considerations that need to be made to ensure the installation of your graphics is a smooth process. Our installation team is on hand and will travel worldwide to handle all aspects of ensuring your graphics are installed correctly, along with any equipment that is required for the installation process. Please get in touch if you have a project that you think we can help with, we’d be happy to discuss your requirements. Call us on 01908 365220.